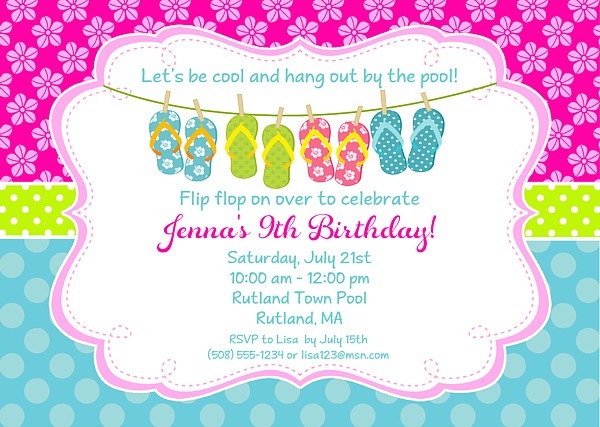 Flip flops pool party birthday invitations. 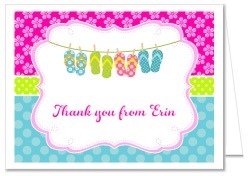 This cute flip flops invitation can be used for a birthday party or any type of pool party. The colors are vibrant and features pink flowers, aqua and green polka dots. Excellent for kids birthday parties! These are printed using a high quality laser printer and the finished party invitations are affordable and of outstanding quality!